Vietnam Helicopters Museum is a nonprofit 501(c)(3) corporation, established to provide the community and schools with information on Vietnam War era helicopters and the significant part they have in U.S. history. Our mission to educate will be accomplished in many ways, including events in support of Vietnam Veterans, school visits, and a museum with exhibits and programs that support Common Core State Standards; Science, Technology, Engineering and Math (S.T.E.M. ), as well as Next Generation Science Standards. School visits provide the unique experience and thrill of seeing the Huey helicopter in motion. This extends the opportunity to learn beyond the walls of the classroom and when coupled with appropriate lessons plans it will align with Common Core Standards, S.T.E.M., and Next Generation Science Standards. The opportunity to have a hands-on experience with a primary source and living artifact could provide the impetus that leads a student on the path to a career in engineering, aviation, or a related field. Providing access to an operating helicopter allows the opportunity to expose students to relevant curriculum aligned to Common Core State Standards, S.T.E.M and Next Generation Science Standards. 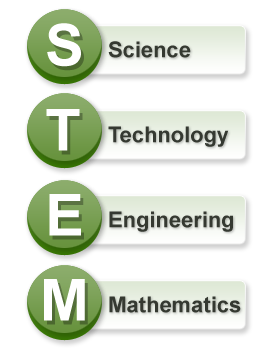 The integration of S.T.E.M related connections could be made from kindergarten (PS2.A: Forces and Motion, PS3.C: Relationship Between Energy and Forces, ETS1.A: Defining Engineering Problems) all the way to high school to support college and career readiness. The alignment to History and Social Studies standards are also evident with the “living history” lessons experience provided by World War II, Korea, and Vietnam War Veterans flying in to the schools and interacting with the faculty and student body. These are given in a non-political, non-partisan setting allowing the students to think for themselves and draw their own conclusions; therefore, no current politics are discussed.